Tunic line with ermine, a late type; after a painting of a son of Saint Louis, formely in Royaumont Abbey Church, French, 13th cent. Printed on border: "Bliaut." 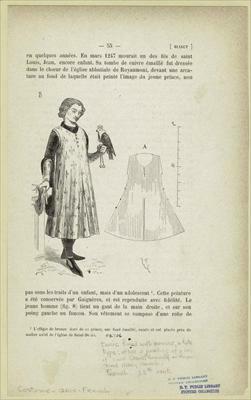 Includes additional text in French.